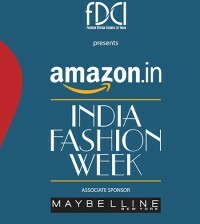 Spring might be in the air, but the Indian fashion fraternity is fixated on the collections for autumn winter 2018 being presented at the Amazon India Fashion Week. The 5-day fashion extravaganza kicked off on 14th March and will be featuring collections and stall exhibits by close to a 100 designers. 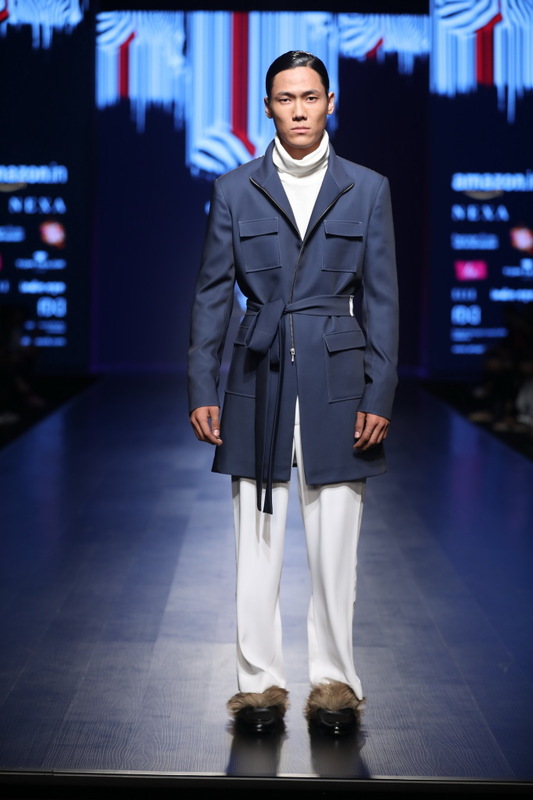 The fashion week was opened by a show of strength from Samant Chauhan which saw him descending to the depths of black or the absence of colour for inspiration. 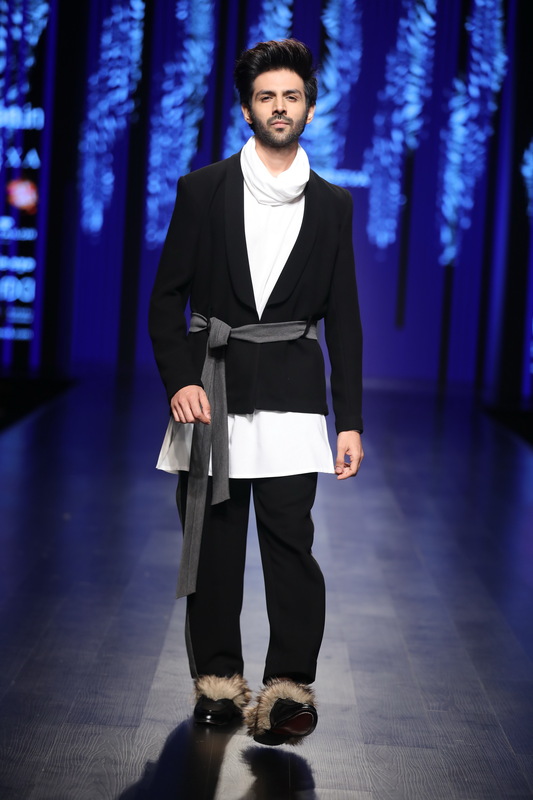 His collection featuring detailed embroidery and ruffles was a fitting ode to monochrome. 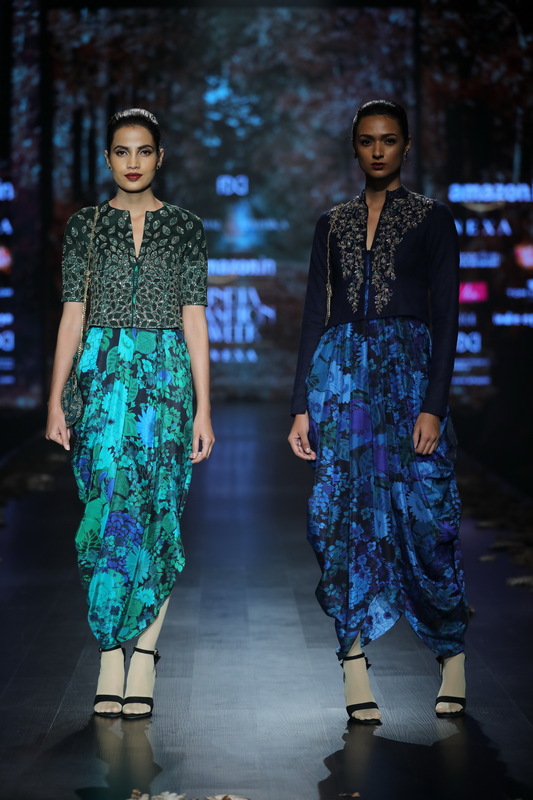 Anupama Dayal injected the day with a dose of quirk with her colourful printed ensembles. Inspired by her travels and the city of Lucknow, the collection had beautiful outfits embroidered in chikankari work. 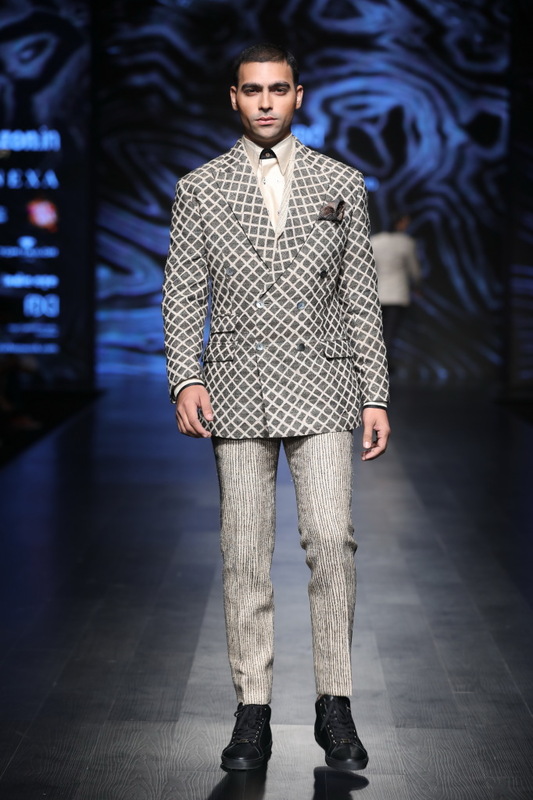 Adarsh Gill presented ‘Defiance’, a collection which harked back to the 1950s, drawing on the glamour and elegance of old Hollywood. 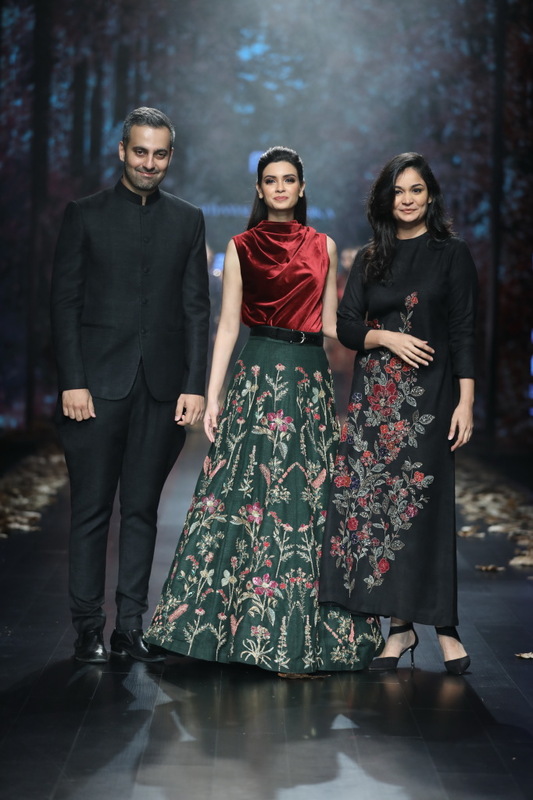 Diana Penty turned show stopper for Shyamal and Bhumika, who showcased ‘A Parisian Symphony’ featuring delicate florals in autumnal tones. 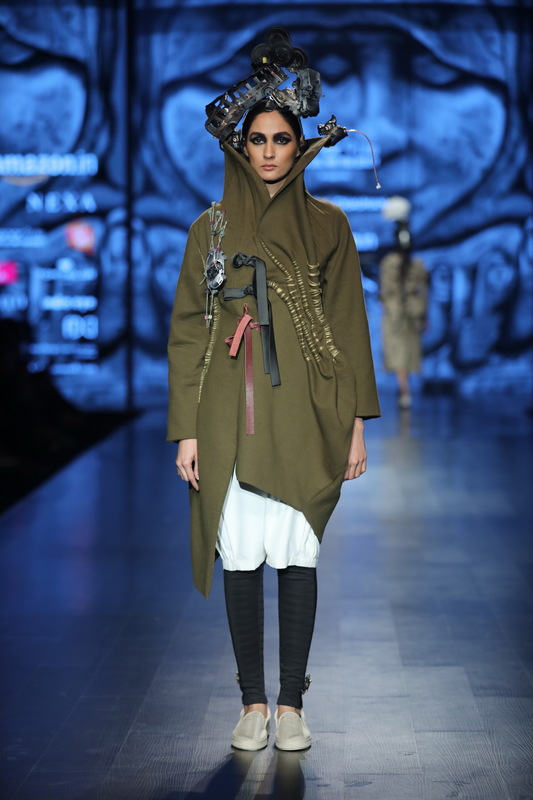 Patine by Shon Randhawa and Geeti Mehra presented a collection that reminded us just why we love Delhi winters. The collection featured jackets and coats in moody military green with beautiful floral embroidery that drew on traditional embroidery from Uzbekistan. 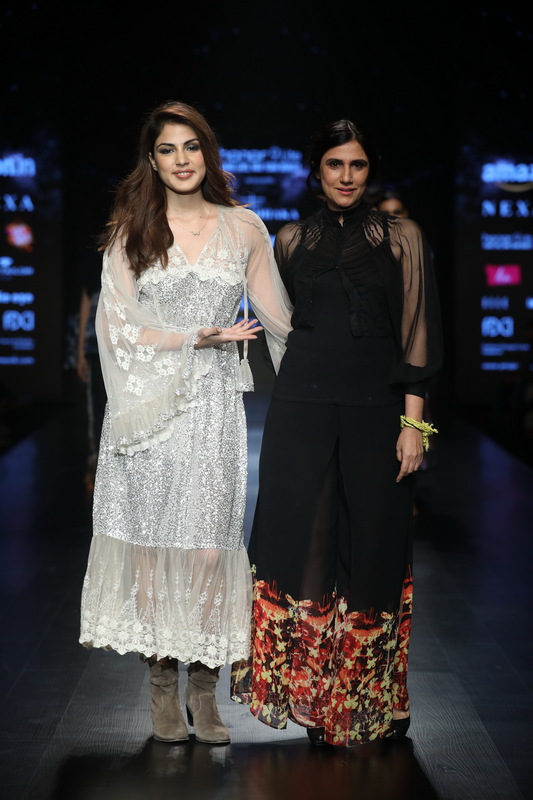 Ashish N Soni, who is celebrating 25 years in the fashion industry joined forces with Gauri and Nainika to present a show that had glamorous gowns and sharply tailored tuxedos in a palette of black and white. Vaani Kapoor added a dash of stardust by turning showstopper for their show. 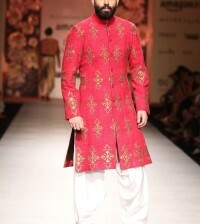 Komal and Ratul Sood explored performance tailoring for the modern man at the same time, putting an emphasis on using natural silks dyed with ‘Arashi’ dyeing technique to provide an escape from a world of technology. 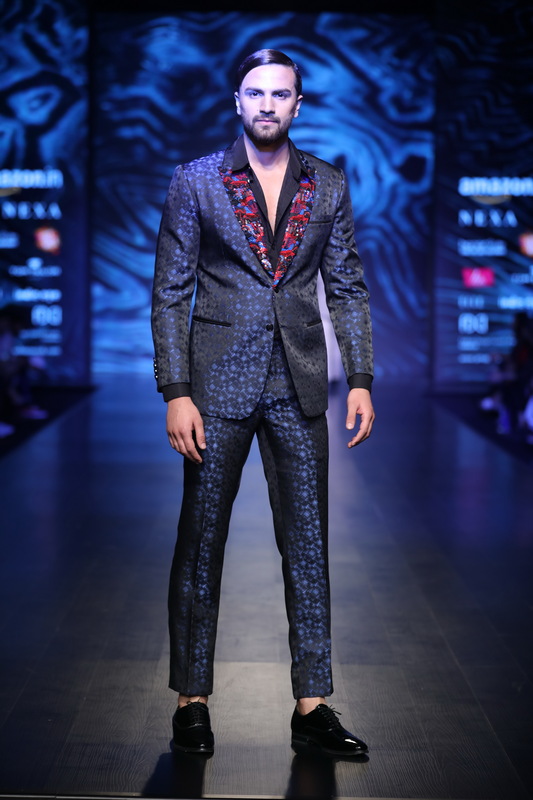 Popular Bollywood actor Kartik Aryan turned showstopper for designer Pawan Sachdeva’s collection Animate that showcased clean and modern silhouettes with a variety of jackets to choose from. Not So Serious by Pallavi Mohan brought the vibrancy of ‘Winter Dahlias’ in delicate swirls of georgette, tulle and silk with a dash of velvet. 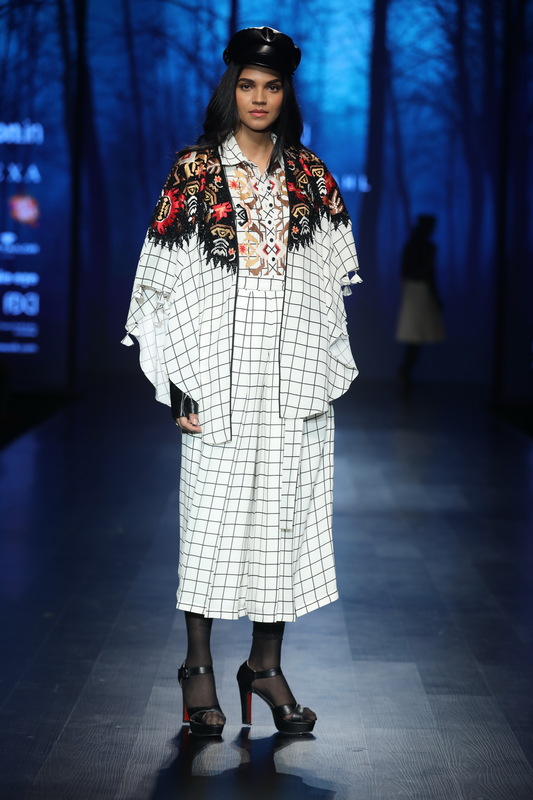 Vineet Bahl turned to the Balkan peninsula for inspiration and his collection saw a smattering of hand beading and embroidery in blood orange, cerulean and sunflower yellow along with antique gold and silver accents. 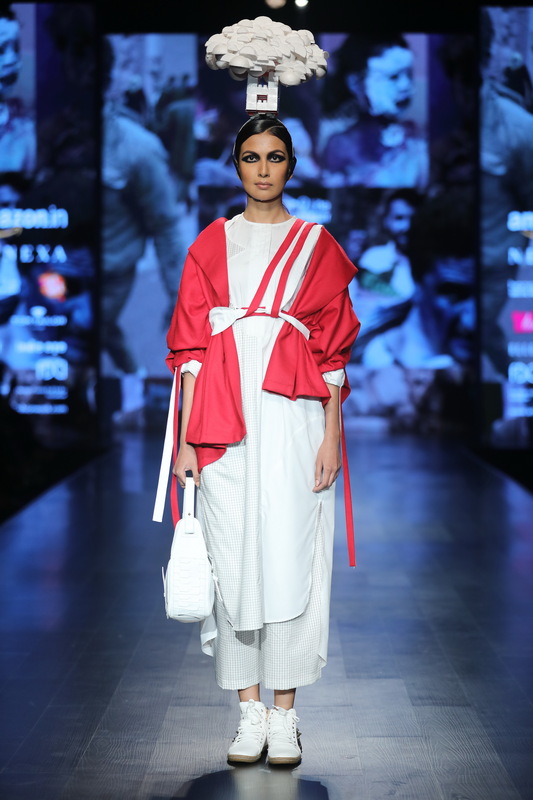 Nitin Bal Chauhan’s collection featuring displaced seams, oversized clothes, shifted pockets aims to capture the spirit of people displaced by strife. 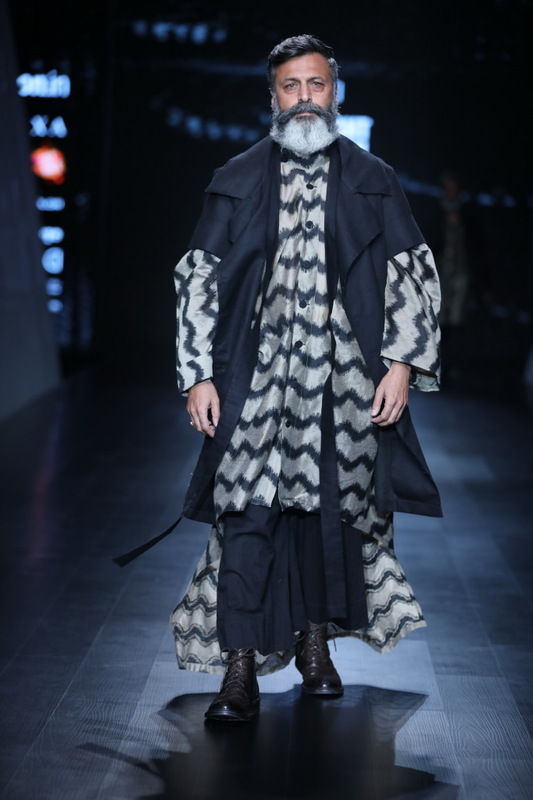 FDCI announces Second Menswear Show at AIFW 2016!